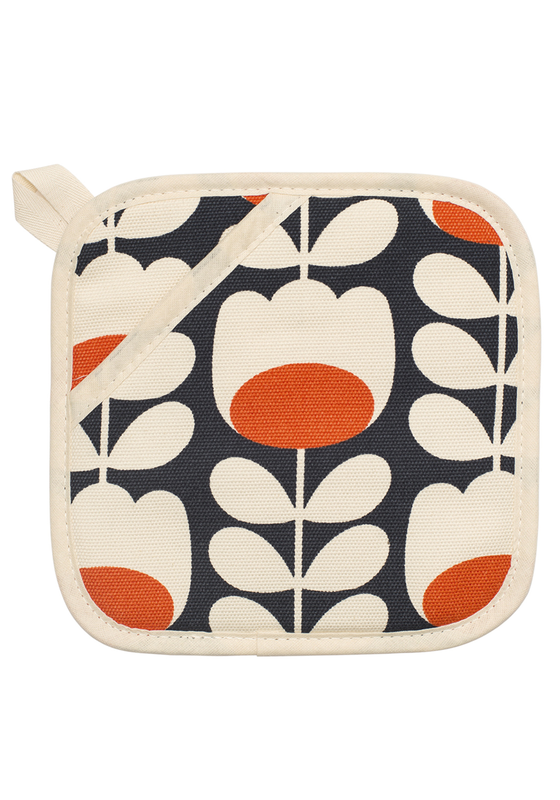 A pot grab from Orla Kiely is a handy accessory to have in your kitchen when cooking. This stylish oven mitt has a hand protection pocket for grabbing hot pots and a hook for hanging up when not in use. 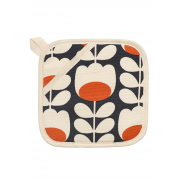 The square shaped mitt comes with a navy, cream and orange tulip print design.